One of the highlights of Destiny 2's upcoming fall expansion is Gambit, a competitive PvE and PvP mode that asks two teams of four players to fight each other in a very different fashion. I played a few rounds of Gambit at an Activision event in Los Angeles and am pleased to say that it’s very, very good. Here’s the short version: Each team plays in a separate arena, where they fight waves of enemies from a randomly selected alien race. Each enemy drops Motes of Light, which you can bring to your bank and cash in. (You’ll lose them if you die.) 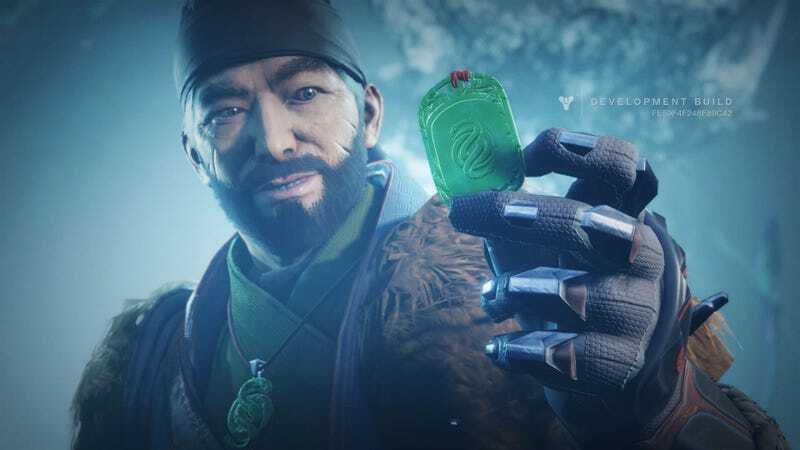 By cashing in Motes of Light, you’ll do two things: 1) send enemy “Blockers” to prevent your opponent from banking their own Motes; and 2) start the process of summoning a Primeval boss. Whichever team beats the Primeval first wins. There’s one more wrinkle: As you’re playing, you can open up portals that let you send a player to go kill players on the opposing team. When there’s a player in your own world, you’ll get a message saying an invader has appeared, and they’ll show up with a red glow. Killing enemy players will heal the Primeval they’re fighting, slowing down their progress and helping your team. Gambit launches alongside Destiny 2's Forsaken expansion on September 4.